For the City of Minneapolis’ Arts, Culture and the Creative Economy Program, Metris Arts provided strategic support for the Minneapolis Creative Index 2018. 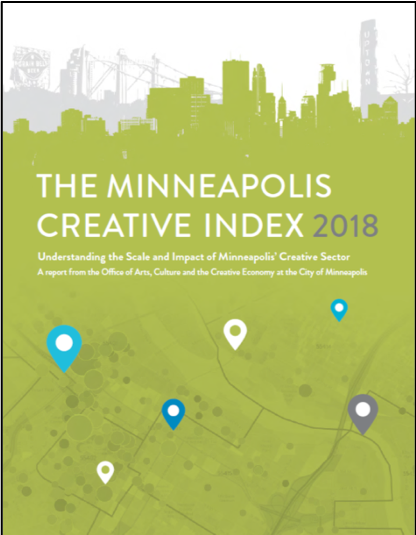 Building on 2013, 2014, and 2015 reports, it highlights annual changes in the economic health of Minneapolis’ creative sector by tracking creative industry earnings, arts and cultural nonprofit revenues, and creative jobs. The 2018 report offers a more refined disaggregation of data detailing hourly pay, job numbers, and job growth according to jobtype, gender, and race. This disaggregation illuminates employment and pay challenges faced by women and people of color in the workforce, which opens up opportunities to specifically address needs in workforce training to better match employment prospects. 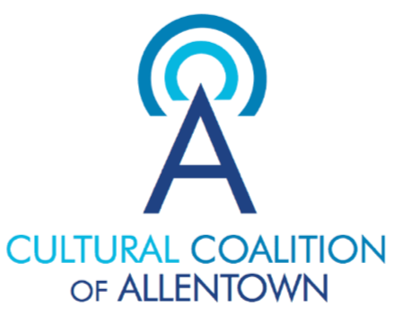 The Cultural Coalition of Allentown (CCA), an entity that operates within the Community Action Committee of the Lehigh Valley, Inc., has introduced several arts and culture initiatives to Allentown, PA. In 2018, CCA engaged Metris to spearhead a creative sector economic analysis of Lehigh and Northampton counties. With this analysis, we hope to fill a gap in regional data on the creative economy and better position CCA, civic leaders, and other arts and cultural providers in their efforts to shape cultural policies and public support for the arts in the Lehigh Valley. 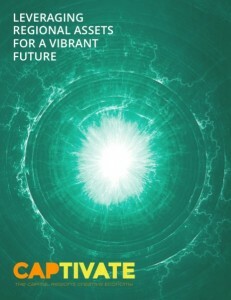 CCA also envisions using the analysis as a jumping off point for regional cultural planning efforts. Metris began this project by facilitating the creation of an advisory group, which helped define the creative economy (i.e., determine the creative occupations and industries to include in the analysis). 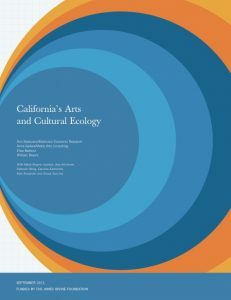 To conduct analyses, Metris used Western States Arts Federation’s (WESTAF) Creative Vitality Suite (CVSuite), populated primarily with Emsi data. To check assumptions and make our work accessible and reflective of the people at the center of each project, Metris facilitated discussion around our equity reflection questions throughout the course of the project. In 2016, Community Partnership for Arts and Culture (CPAC) commissioned Metris Arts Consulting to produce Culture Pulse 2016, the latest in its annual Culture Pulse report series. Through its Culture Pulse reports, CPAC shares information on the health of Cuyahoga County’s arts and cultural sector with local and regional stakeholders. It seeks to empower arts and cultural nonprofits, artists, and funders with objective data so that they may better nurture the arts and cultural sector. The Metris-produced Culture Pulse 2016 report maintained continuity with the series; it retained DataArts organizational profile data as a core data source to report information on participating arts and cultural organizations’ financial, human capital and space resources. However, Metris improved upon past reports in several ways: we explored longitudinal trends, we parsed data by organizational budget size, and we added narrative interpretation of trends informed by stakeholder focus groups and a national literature review. 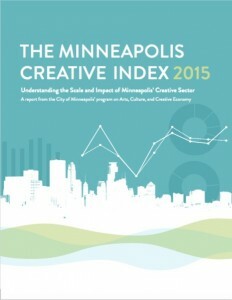 For the City of Minneapolis’ Arts, Culture and the Creative Economy Program, Metris Arts produced the Minneapolis Creative Index 2015. Building on 2013 and 2014 reports, it highlights annual changes in the economic health of Minneapolis’ creative sector by tracking creative industry sales, nonprofit revenues, and occupations. In keeping with the City of Minneapolis’ commitment to gender and racial equity, the report also includes conversations with six creative workers of color: architectural professionals and producers & directors. These occupations have greater disparities for people of color (as well as women) than the average labor force in Minneapolis’ metro area but are also “good jobs,” meaning that they’re growing and pay high hourly wages. In these conversations, we explored barriers to and opportunities for people of color to succeed in these jobs in Minneapolis. For the Capital Region Creative Economy Project, Metris was the lead contributor for profiles of five creative economy industry segments: design, media, visual arts and handcrafted products, performing arts, and heritage and preservation. The overall project set out to better understand and assess the nature of the creative economy of the eight county Capital Region of New York. Mt. Auburn Associates led the effort on behalf of the Community Foundation for the Greater Capital Region and the Center for Economic Growth.